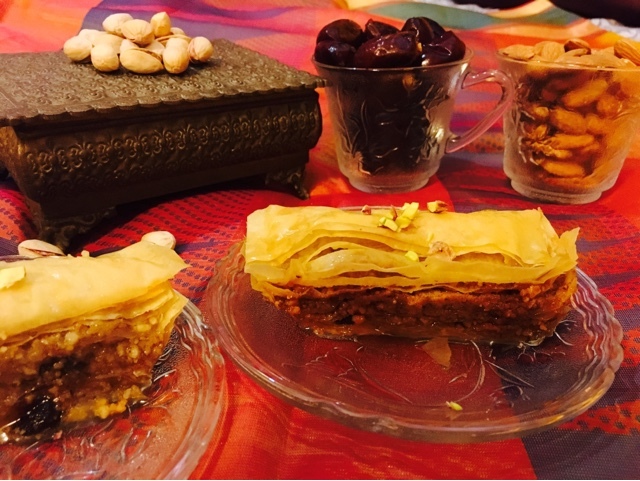 Baklava is a sweet pastry made with filo pastry layered with crushed nuts and dates soaked in sugar-honey syrup. 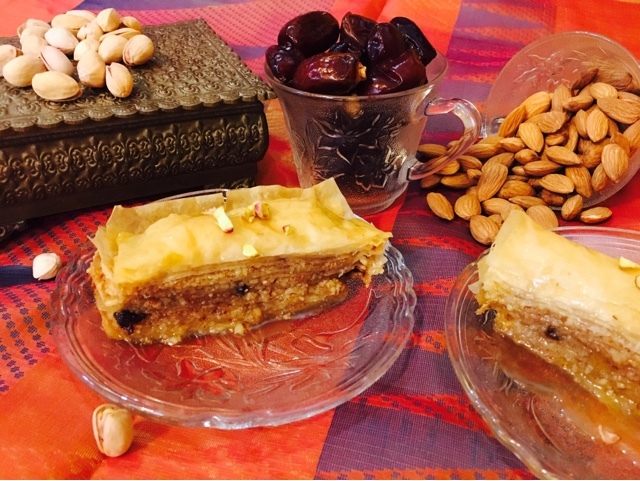 Take out from the oven and pour cool syrup on the hot baklava. You should be able to hear the sizzling sound. Let the baklava stand for a few hours undisturbed so the syrup penetrates well.